One of the things I love about Pinterest is that it helps you define your taste in a natural way. Certain images make your heart beat a little faster and you can pin them without giving it much thought. When you take a step back and look through your boards as a whole you might notice certain trends. 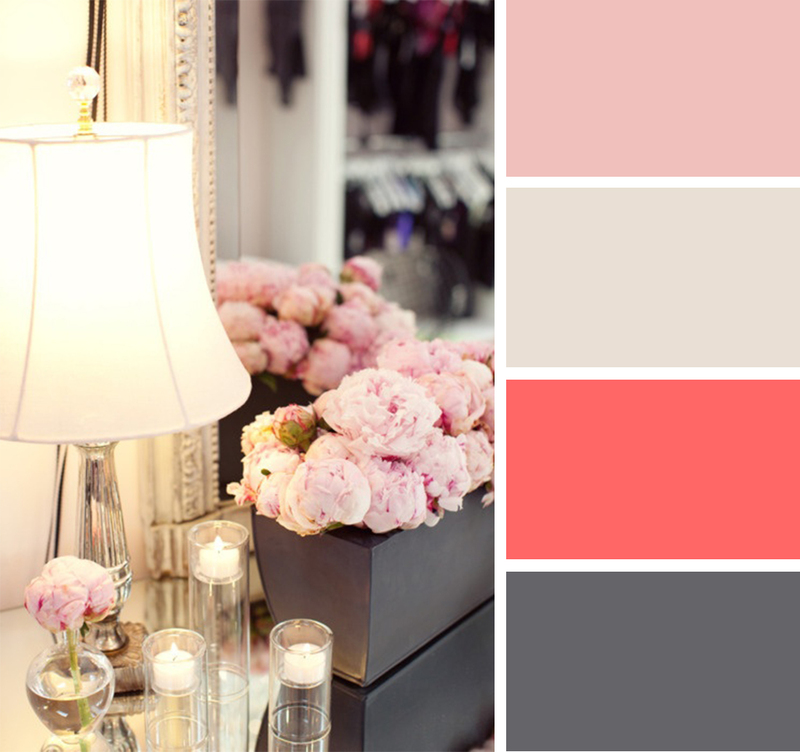 For example, it’s helped me to figure out which color palettes I’m drawn to – one being the combination of gray & pink. I thought I would share some of the inspirational images from my personal boards. I hope you enjoy on this cozy Saturday! The Cross Decor & Design is a beautiful home goods store in Vancouver (road trip anyone?) and they have a nice little online shop too. They offer design services as well and these images are from the Millenium Project. 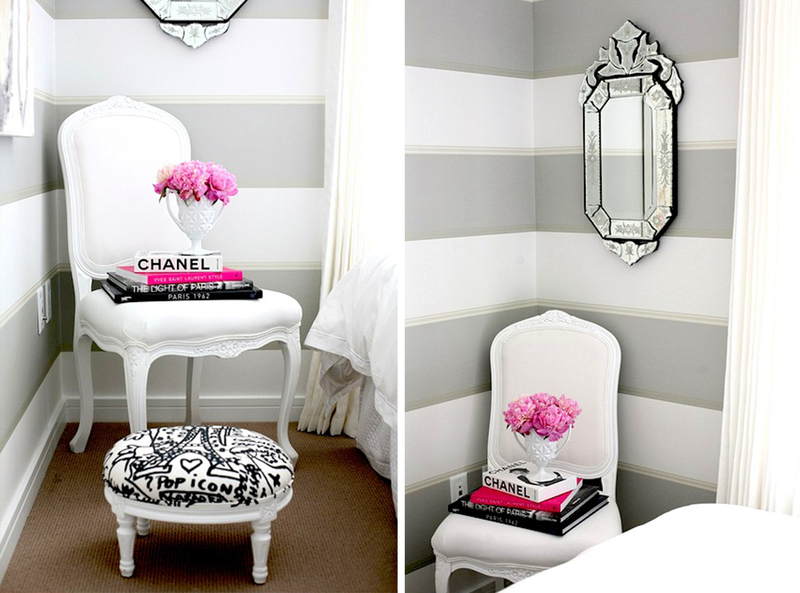 The light gray wall stripe makes for a bold bedroom corner and I love the pop of color from the peonies. These two shots are from a project in Hancock Park by Carla Lane Interiors, a design studio based in Los Angeles. 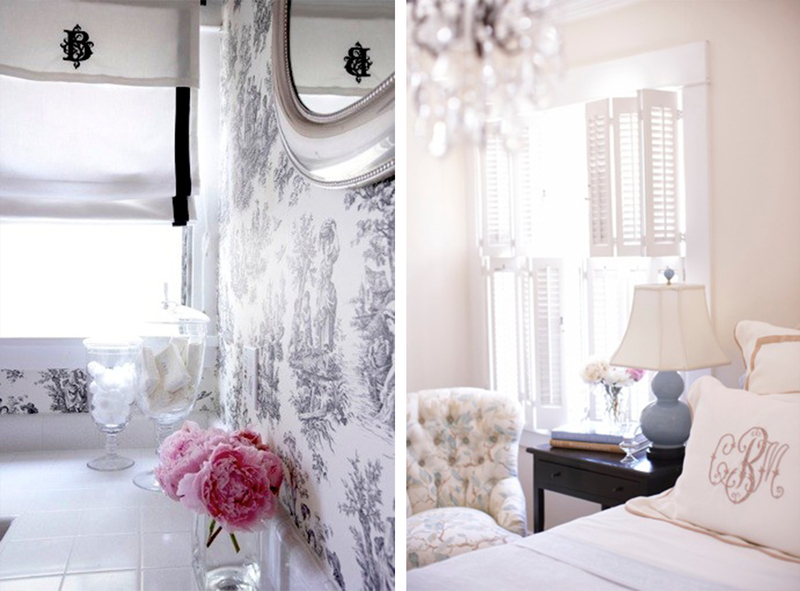 I’m especially in love with the toile wallpaper and the cute little roman shade in the photo on the left. Who said your bathroom couldn’t be beautiful? 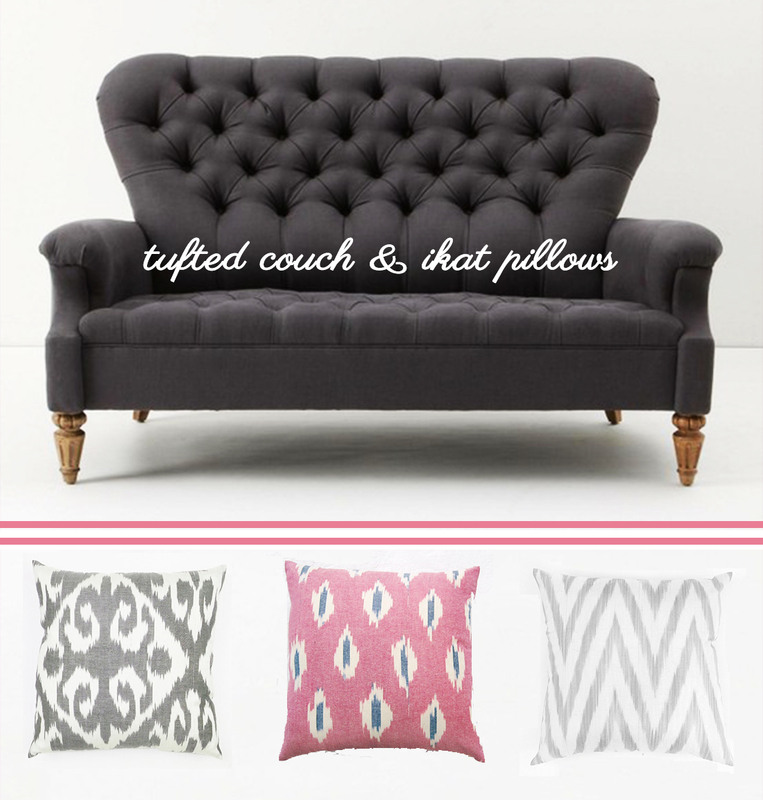 I could see this tufted Battersea Sofette from Anthropologie covered in ikat pillows from Table Tonic, an online homewares boutique based in Australia. 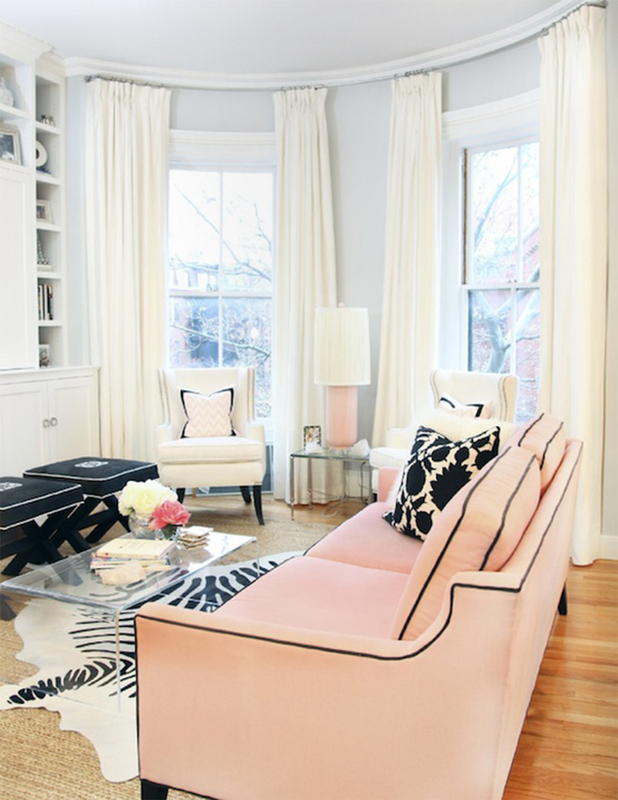 This chic living space was designed by interior stylist, Erin Gates, who works here in Boston. I love the black piping detail on the sofa and the clear coffee table from CB2. I think all of these spaces are chic and romantic. Gray is such a flexible color and I love how the addition of pink hues makes the spaces feel warmer and more modern. What do you think about the combo of pink and gray? What other color palettes are you drawn ton?